The final phase of the St Margaret’s Church Upton Organ Restoration & Discovery Project sees the launch of a Young Organist Scholarship scheme. The church has two organ scholarships to award to budding young musicians, with each scholarship lasting for three years. They will be awarded by St Margaret’s Church, Upton, and run in association with YOST (Young Organ Scholars’ Trust). The scholarships will fund organ lessons for students with an accredited organ tutor, which will be held initially in Norwich. As the students progress, they may be asked to support and play at occasional services and concerts in St Margaret’s Church. The scholarships would ideally suit young people aged 12-21 although some flexibility may be given, depending on musical ability. 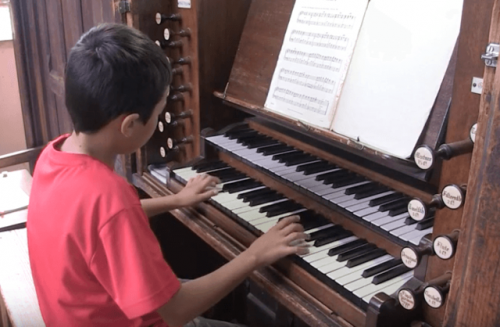 This wonderful opportunity is a lasting legacy for the project, which has seen the restoration of the historic Holdich organ at St Margaret’s Church. Applications close on 26th April with interviews scheduled for 11th May. For further information and an application form, contact Nick Garrard, Rector of Upton, on 01603 270769 or email NickGarr39@aol.com.